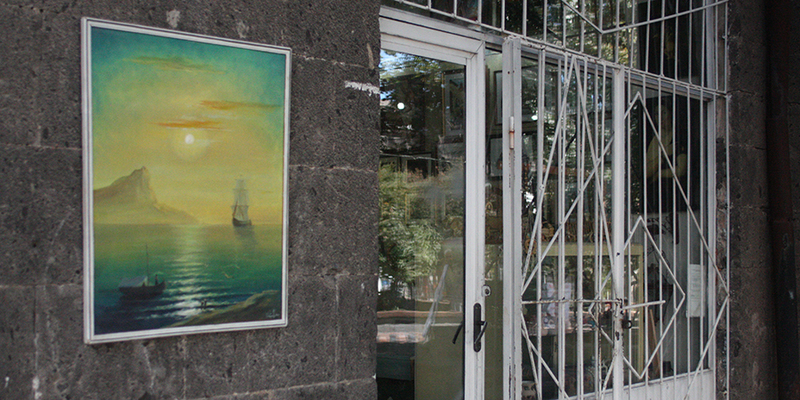 While walking down the alley make sure you don’t miss the souvenir shop, the former public artists center which is located on the left part of the alley. 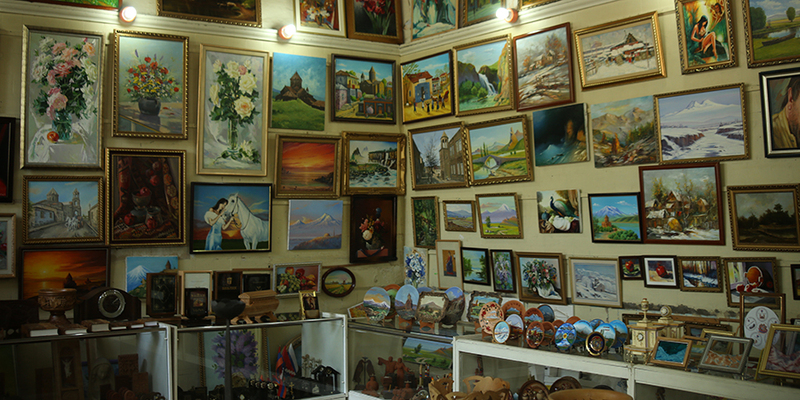 Here you can find paintings of different Armenian and mostly local Gyumri modern artists. 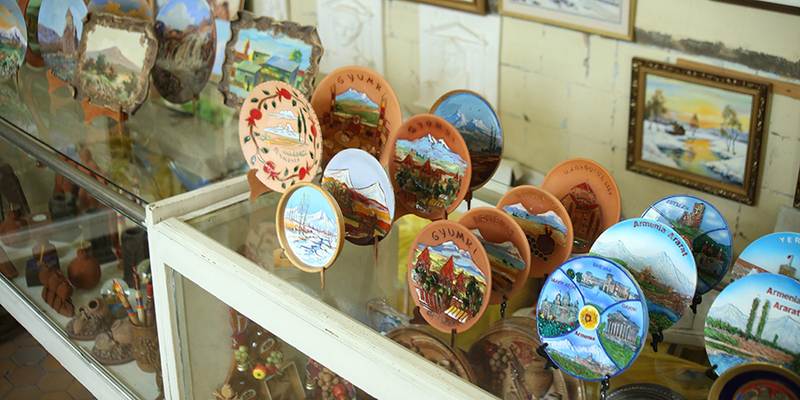 The souvenirs are made of different materials including wood, silver, tufa stone. 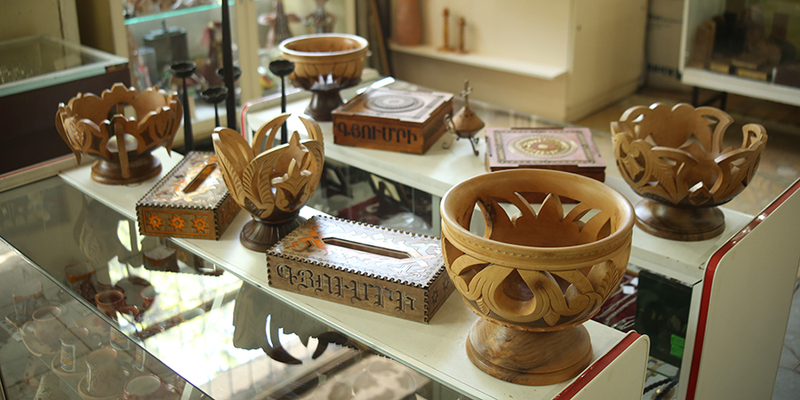 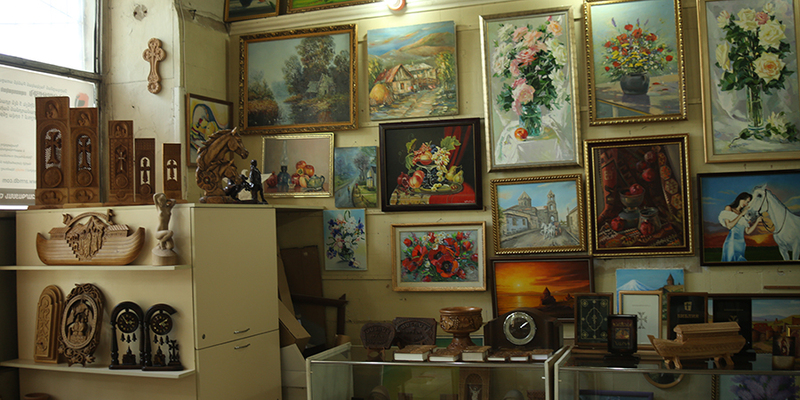 Make sure you take traditional and modern souvenirs or art works as memories from Gyumri.